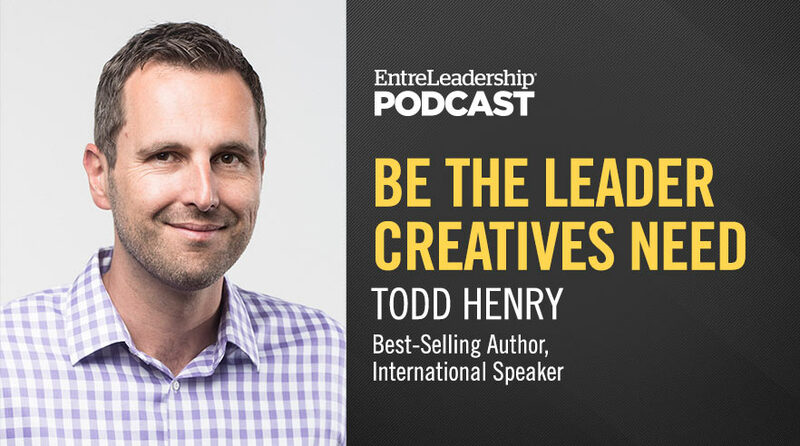 We all know the creative process is unpredictable at best, but if you ask best-selling author Todd Henry, the one thing you can control every single time is the way you are guiding that work as the leader. Not only is your role more influential than you may realize—says the international speaker on leadership and creativity—but the stakes are about as high as they get. Without clear expectations from you, yet enough margin to allow them to take risks, your makers simply cannot do their best work, which threatens the very lifeblood of your organization. Tune in to find out the two things every creative needs to thrive, as well as what you need to do to lead creatives well. Thanks for understanding me! 30+ years in the workforce. Immediately, when starting the podcast, my thoughts were going towards the “creatives” in the organization (designers, illustrators, etc.) but then when you said that you didn’t need to be in that type of role to be creative . . . oh, music to my ears! Thanks! I love to be creative in presenting information, looking at data in new ways, etc. And, sometimes when I’m in a reactive, task oriented situation, my creativity needs an outlet. I find it in painting, crafting, knitting, sewing, etc. Although I’m not great at those things, I need to be learning, creating, expanding my abilities! Still looking for the perfect job when I can be a “creative” in a thriving environment!